Why review an older game that never reached completion? Bear with me for five minutes. 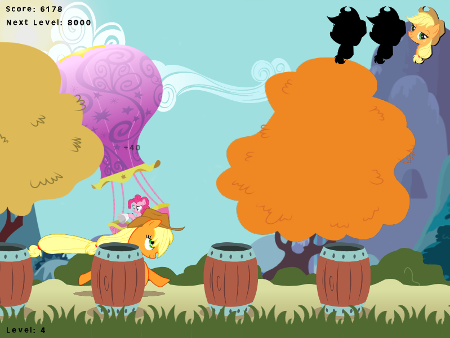 Don't get put off by the "demo" label - although it may not update again, Alexmakovsky's Daring Do: the Flash Game already has some serious meat to it. 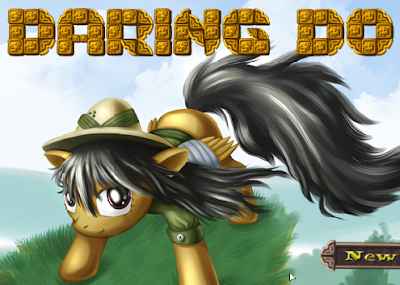 Daring Do's the perfect candidate for an adventure platformer, but for some reason she doesn't star in many games - making this one that much more unique. But can the game live up to it's promise? Find out after the break. After MLP:Online was shut down last year most of us expected the developers to give up on fangame development altogether or move to commercial development, but apparently they've decided to make another fangame codenamed Project Cygnus. 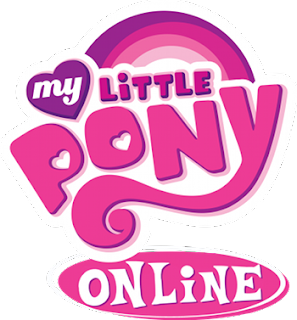 Unfortunately we don't know much about it other than the fact that it is an action game, but in the meantime they have decided to ease the weight by releasing MLP:Online's source code (stripped of all resources). They are no longer supporting it, but if you want to use it for your own fangame: go ahead! It should work quite well for any RPGs that you plan on making, and if you tinker around with it a bit you'll probably be able to compile your game for Mac OS X and Linux too. What are you waiting for? Grab the source code from Bitbucket, and it'd probably be a good idea to pick up the tools as well. Despite the doubts of many (myself included), the Keep Skullgirls Growing campaign managed to reach the required goal of $725k with only 10 hours left, which means Mane Six gets to use the incredible Skullgirls engine for free. Congratulations to everypony who donated! I am proud of you all. ...In case you're confused as to what good this means for Mane Six and the future of Fighting is Magic, I would advise that you read their official FAQ on the subject. This wasn't originally going to get a post slot this week, but what the hay. Maybe it'll keep you guys from climbing the wall until the hiatus gaming season gets in gear. In Iron Pony Table Tennis, you plays as Rainbow Dash, facing off against Applejack in a ping pong championship for the ages. Press the arrow keys in order to keep the volley going for as long as possible, but you're just postponing the inevitable: you can't win. Unfortunately, the game's simplistic mechanics and lack of a definite reward system make it hard to invest much time in. As for what engine the game uses or what platforms it runs on, I have no idea. Not that most of you care anyways, since it's almost a given that it will run on Windows (which most of our readers happen to use). Remember Legends of Equestria, the 3D pony MMO which hosted that stress test weekend last September? You should, because it was awesome! The team is now recruiting new members, and for once, it's not limited solely to creative types - they're looking for public relations personnel as well. Other positions include 2D artists, 3D modelers, animators, and concept artists. Check out the full briefing and application information here! We don't see too many 3D pony fangames, but Oddwarg (the man behind Corruption, overall winner of the 2012 My Little Game Jam) has decided to release the trailer for a game he's been working on a week before he sets off to sail the sea in his yellow submarine, which is apparently his idea of a vacation. Aside from Rainbow Dash's nice animations the game looks pretty bland, but since the code is apparently lying around somewhere on the internet somebody could probably fix it up while Oddwarg mucks about in the sea of green. I'm sure many of you have read or encountered Egophiliac's Moonstuck, the sprawling epic about a pony princess on the moon loosely based on Andrew Hussy's Homestuck. A few months ago, the story came to an end, and it appeared that Woona's adventures were over. Until now! Sylrepony has just released the first episode of many covering Woona's time on the moon in an isometric adventure format. Can this ambitious project live up to the offbeat humor of the comic? The answer, (and a bonus walkthrough,) below the break! 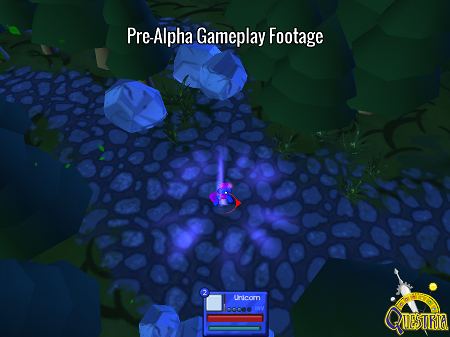 Not long after Questria's developers decided to unponify their game it seems that the folks behind Pony Tactics: Salvation decided to do the same, and have renamed their project to Spectrum Tactics. To be honest I'm not really surprised with their decision, but hopefully most other fangame developers will keep their spirits up and continue working on their own projects. After all, so far Hasbro has only C&D'd fangames that either had My Little Pony in the title or whose developers contacted them for permission (such as the poor soul who created Equestria Tales). The original announcement can be found here, in case you want to read it. Cheerio! Unfortunately most large fangame projects end up going nowhere or receive cease & desist notifications, but Darkera Studios has shown no signs of slowing down in the development of their second project, Rise of the Clockwork Stallions. Their October demo was somewhat out of date, so they decided to release an updated demo with more characters and levels. The game also uses less RAM than it did before, so it should run better for those of us who are still using older computers. And before you ask, the team is planning on a Mac release at some point, although it would require a fair amount of reprogramming and would probably be uploaded a fair time after the official release at BUCK. It's been over a month since we last posted about Fighting the Unknown, and apparently a lot has been added since then. According to the developer there are 50 new skills with animations, along with 60 new passive skills and whatnot. It looks pretty impressive to me, but since it's such a massive download I'm probably going to have to wait 5 hours before I actually get to play it. 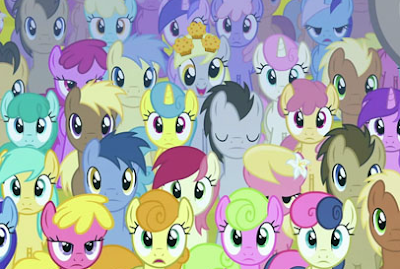 Unsurprisingly, Mane 6's negotiations with Hasbro over the C&D of Fighting is Magic didn't go all that well, and as most folks have already heard about Lauren Faust's offering to design new characters for them it should come as no real shock that Mane 6 decided to take up the offer. 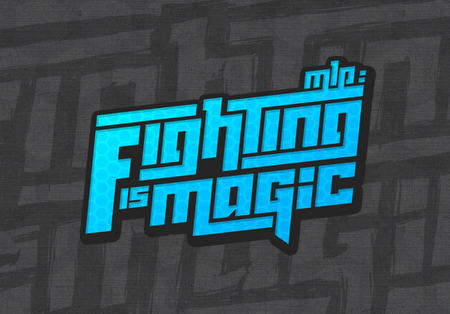 This means that Fighting is Magic will no longer be a My Little Pony fangame, but take place in its own setting with unique characters and have pretty much the same stuff as Fighting is Magic (with the notable exception of colourful equines). Sick of my rambling on the Skullgirls engine? Then visit Mane 6's original blog post for some more detailed information on the situation, along with a quote from Lauren Faust (and not a single mention of Skullgirls to boot). In honor of Derpy Day, pepperpunk has released Where's Derpy 2, the sequel to the original point-and-click Derpy-finding adventure. 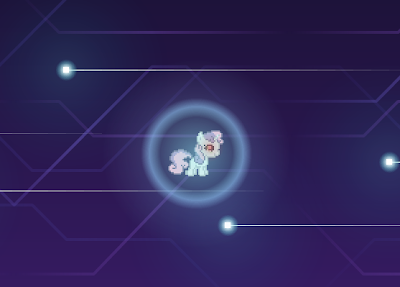 The mechanics are almost exactly the same as the first time around - in each panel, find Derpy, 3 muffins, and Lyra (if she appears). However, there are a few more achievements this time around. Have at it! After I posted about Pony Civil War earlier today it occurred to me that we hadn't heard from Questria's development team for quite some time, and I decided to visit their website. 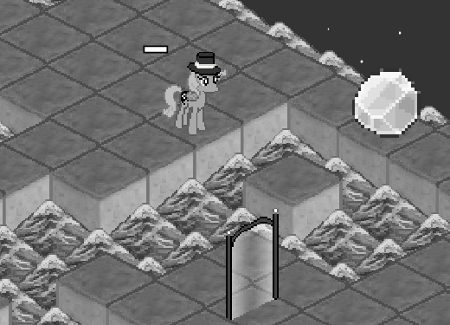 Turns out that after Fighting is Magic went kaput the devteam was rather shaken (as were many other fangame developers), and today they announced that Questria would no longer be a My Little Pony fangame, but take place within its own universe. As to whether or not Questria will still have ponies remains to be seen, but I hope that they do decide to stick with ponies. Hasbro can't exactly sue everything that contains ponies, right? That's like Mattel suing Matchbox because both of them make die cast toy cars. So...yeah. 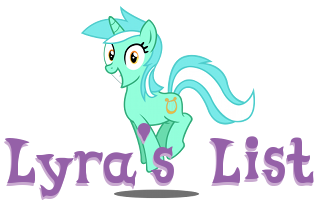 If Questria abandons ponies entirely, you won't be hearing anything more about their game from this website. Hopefully that is not the case, but until the developers make things clear we'll just have to sit around and speculate. Multiplayer Online Battle Arena games have always been the bane of my existance, because no matter how hard I try I always end up screwing up and ruining the game for everybody else. Even if I'm not very good at MOBAs I know that many other Bronies are quite passionate about them, and I'm sure that you will all be happy to know that a pony MOBA named "Pony Civil War" is currently under development. It still lacks animations and appears to have only one hero (Twilight Sparkle), but I think that it looks fairly promising and could turn into something pretty big. Update: a sharp-eyed reader confirmed that the game is based off of the Esenthel engine. This means that the game will probably work on OS X, but no Linux support. If you want more information on Pony Civil War you can head on over to their blog, which has a bunch of screenshots and whatnot.